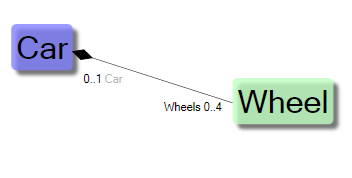 For any well behaving MDD tool this decoration should imply a cascading delete of all associated wheels when the Car is deleted. The aggregation symbol signals to the UML reader that the connection between Car and Wheel is “strong and common” and that “Car owns wheels” is more appropriate to the domain than “Wheel owns Car” (this also applies to the composite symbol) . 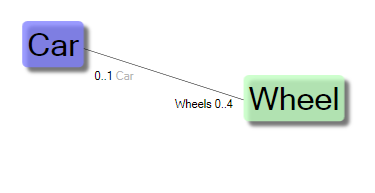 A well behaving MDD tool should probably prohibit the deletion of a Car until the Wheels are gone. So that the scrap yard guys does not delete a car while the valuable wheels are still on it. To sum it up: Composite is stronger than Aggregate; both symbols imply that the domain sometimes look on the classes as a bigger unit. 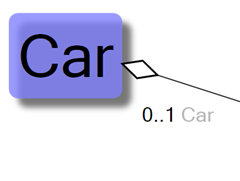 The symbols help the UML reader to understand the larger compositions in the domain. The symbols imply specific destruction behavior to good behaving model driven development frameworks (MDD-Frameworks). 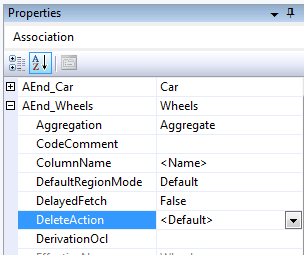 The recommendation is to leave the DeleteAction on <Default> and use the Aggregation setting to control the delete action AND help UML readers to understand the domain. Your explanation is correct but I think a different example would be better. A wheel can exist without the car, the car without the wheel, and you would want to identify a specific wheel (especially the tyres). 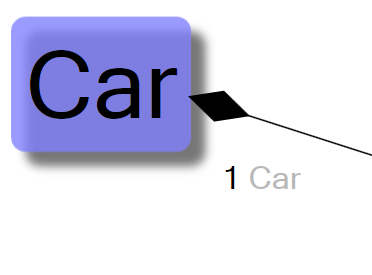 The components which make up an engine might be a better choice. Very few people would refer to the parts within their engine, only the engine itself. Or maybe you could think of organs in a body, where they may be referenced in discussions (associations added to them) it makes no sense (ordinarily) that they exist beyond the life of the body in which they reside. Thanks! Good and relevant comments as always Pete!